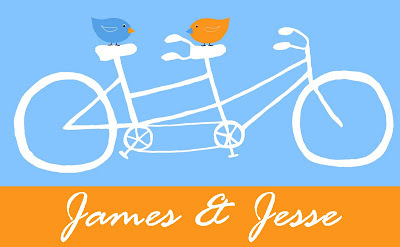 Jesse and James will be married in a small ceremony on the Rosebud Sioux Reservation in South Dakota. Transportation and accommodation are limited on the "rez", so a West Coast toast in Oregon will also be held to celebrate with family and friends. McMenamins Hotel Oregon Mention Foss/Latter wedding for discounted rates and blocked rooms until September 30th. These rooms are filling up fast! James & Jesse will be staying here Friday & Saturday nights. Your presence is the only present we desire! But, if you really want to give, we are collecting Spanish language books for Los Niños, the orphans of Nuestros Pequeños Hermanos in La República Dominicana, ages 4-18. This is the orphanage James volunteered at this summer. This weekend I took advantage of the nice weather left in the wake of Typhoon 18 and visited Hakone, Tokyo's playground about 90 minutes away by train. The Hakone region is in the shadow of Fuji, but I didn't get to see it this time because the clouds closed in, leaving the first snow of the year on it's flat top. Instead of hiking, I visited the beautiful Hakone Open Air Museum halfway up the mountain. The grounds are huge and I probably spent 2 hours just wandering around. This is the called the Symphonic Sculpture. The tower was entirely made out of steel and stained glass, which looked like nothing from the outside, but the inside was gloriously colored. Each panel had some little hidden gem of a picture. It also made a beautiful echo sound as people walked up the staircase. I would love a window like this in my dream home. More koi...I love these greedy fish. In 1984, they installed this Picasso exhibit, full of many of his original drawings, tapestries and clay pots. I hadn't known much of Picasso prior to this, but I developed a real appreciation for his art and the development of it over time after this exhibit. Oh, to be a kid and play around in there! Hakone is bubbling with volcanic waters. One of the hiking trails I wanted to take was closed because of too many toxic gases from the ground. The museum had a hot spring foot bath for visitors. I had lunch with this gray heron. We both had the fish, but mine was from Seven Eleven. Not that I've experienced all that there Tokyo or Japan has to offer, but the novelty of the city has become common place. But last nights stop at Akihabara after sumo with Craig and Charity , was a good place for some new blog worthy pictures. Akihabara is a flashy, loud electronics neighborhood in east Tokyo full of anime and gaming where otaku find all their fantasies come true. Figurines are popular in Akihabara. You can find pretty much any figure in this shop...from animal trophy heads to transformers to grow your own grass kits. Can you see who you get in this machine? We went to our first sumo match this weekend! It was all I had hoped it to be. Inside Ryogoku stadium, the doyho. I have to admit, in all my American movie trivia, it reminded me of the final fight scene in the Japanese stadium in Karate Kid 2. This is one of the 2 yokozuna (grand champion) at the tournament doing his special doyho-iri ceremony to drive evil from the dohyo. A wrestler becomes a yokozuna by winning at least 2 tournaments in a row. This yokozuna is Mongolian, who took the Japanese name of Asashoryu. There have been only 69 yokozuna in the past 300 years of sumo. That's why when we met Akebono (a former yokozuna and 1 of only 2 or 3 living grand champs) at a friend's bbq in June, it was a huge event. Each match takes mere seconds, just long enough to push your opponent out of the ring or drop him to the floor. The lead up to the match is where the flair and pomp is--wrestlers throw salt to purify the ring as a sacred place, stomp the ring to squash the bad spirits and sip water to purify their bodies. Sumo is actually an ancient religious ritual to honor the gods with prayers for a bountiful harvest. The wrestlers try to rile each other up and glare at each other in this pose. They have 4 minutes before they must start wrestling, so they can fake each other out a few times before actually starting the match. The mawashi (silken loincloth) is actually a tool. There are seventy winning tricks that can be won by gripping the mawashi. Can you believe they can actually pick each other up? We saw one pick up another and throw him out of the ring. The official in the ring as the wrestlers stomp the ground and prepare. The entrance ceremony for the big boys, or the maku-uchi matches. The aprons they are wearing can cost from 400,000 to 500,000 yen (40,000-50,000 USD). Just before the final match. Only McDonald's could find the gumption to advertise at a sport thousands of years old. How do they sleep at night? The closing ceremony bow dance. And the winner of the entire tournament was crowd favorite yokozuna Asashoryu. 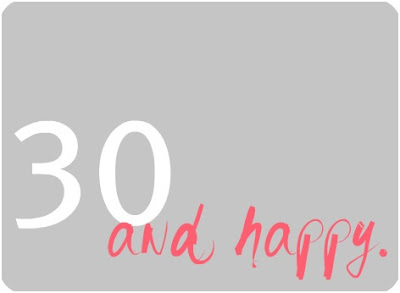 There's nothing like being with friends and having a good laugh on your birthday. Our friend Cory, you may know him from our previous world-wide rendezvous' like Leiden, Holland and Sarajevo and Croatia and the Jersey Seashore and even Bangkok, came to visit us this weekend with his friend Amy. Cory is now teaching in Seoul, South Korea and I'm sure you'll be seeing more of him this year since we are close neighbors again. For my birthday, we took the monorail out to Odaiba (doesn't this look so futuristic? ), the island landfill in Tokyo Bay. This chapel is amazing. Imagine getting married here with the city, the bay and the bridge spread out before. Curious about the cost of getting married here, knowing that rooms at Hotel Nikko are $600 a night, I looked it up. It's under $4,000 to rent the chapel, but the sample plan for the wedding they propose at Hotel Nikko rounds off at $33,000! Of course, that price includes a "fake" foreign priest to do the "Christian" ceremony for your pictures. It's very stylish to have a western style ceremony here in Japan even though they aren't recognized as official. James found a grill restaurant featuring Australian beef that overlooked the waterfront, Rainbow Bridge and the Statue of Liberty. The food was amazing and the best part was this little dish they gave us that we could fill up with sauces from the condiment bar! Pink salt, anchovy and black olive tapenade, cassis mustard, cherry relish, yum! The only downside of the restaurant was that they played the same song over and over for two hours. Tokyo Tower and Rainbow Bridge in the background. After dinner we boarded Jicoo for a hip futuristic cruise on the bay. I felt like I was in some crazy slow motion movie montage--house dj, laser lights, bottom lit dance floor, Jetson-like boat and Japanese people all around me. I asked for this messy concoction for my birthday months ago. It's a grape hubba-bubba flavored (didn't know that) profiterole from Food Show. It's prettier than it tasted. It's August 14th in Japan. And one more quake this morning at about 7:45. Make that 3 in 4 days. This one was a 6.7 just 200 miles away in the ocean over the Izu Islands. It was shorter than the others, lasting just about 10 seconds. Is it settled yet? Admittedly, I was a bit nervous about the new neighborhood. 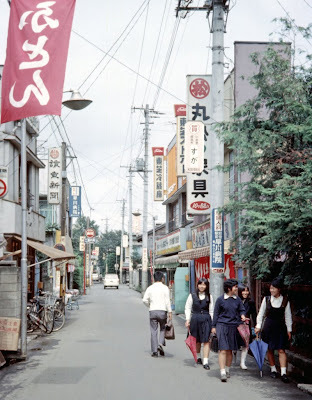 Compared to my old quaint neighborhood of Okamoto with peaceful Kinuta park nearby, Chitose Funabashi felt dingy and blah at first. With so many massive apartment complexes in the area (we're talkin 150+ apartments in each building), you feel like you live in a city soup, that doesn't let up for miles. But as with most things in Tokyo, I've learned it just takes a little bit of digging and time to uncover the real gems that exist in each neighborhood. This is just one view from the balcony of one of the many big "mansions" that seem to block me in. But, my balcony gives such a feeling of openness that you don't feel too hemmed in. Maybe it's because there is an incredible view of Shinjuku, the Tokyo equivalent of a view of the Manhattan skyline, from the balcony. On sunny days it shines brightly, on rainy days you wouldn't know there was a city over there at all. The complex on the right hand side of the picture is all but abandoned and I'm hoping someone has the guts to tear it down and give me a view of Shibuya also. And on perfectly clear days, the other side of the balcony has an unobstructed view of Fuji san. This is a neighborhood sushi restaurant, one of the many little mom&pop shops along the vein leading from the apartment to the station. You can find tofu shops, recycle shops, fruit & veg vendors, bicycle repair, cafes, tai-yaki grillers, pharmacies, futon sellers, grocery stores, bakeries, sports shops and even kimono tailors. Slowly the people in the neighborhood are starting to recognize me and not just look at me sideways. I've made buddies with an old man at one of the dry cleaning places. There are very few gaijin in this neighborhood, which is one reason I like it. I love that a neighborhood offers everything you would need no further than a walk or bike ride away. And even better, there are very few cars on these shopping "promenades." And there is so much more to this little neighborhood. 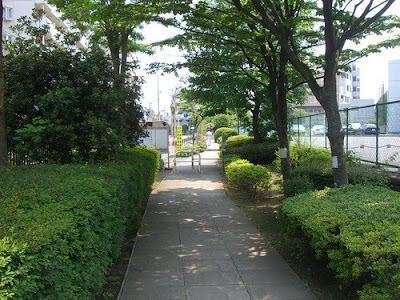 Tonight I found a long wooded path leading to a park that boasts sight #37 of the 100 scenic views in Setagaya (the ward of Tokyo)....I didn't go too far by myself, I'll have to drag James there later. And then there's the 7-11 just around the corner where I can pay my bills at all hours of the night and get an ai-su-ku-re-mu to cool off in the heat. Today we lazily rode our bikes around the area, stopping wherever we found a green spot or a cool place to eat like a little French-only cheese specialty shop. We found a beautiful temple surrounded by old trees and the coolest record shop with a hip old dealer who loved practicing his English on us. I picked up a record of Joni Mitchell and the owner promptly told me I looked like her (so now I'm a cross of Cameron Diaz & Joni Mitchell with a voice like Jessica Simpson & Olivia Newton John). Then he looked at James and stated that I must like to date older men! This one woke me up at 5 a.m. on Tuesday morning. Seems it made the news across the ocean, but all was fine here. It shook about as long and strong as the one on Sunday night, which means dishes, painting and shelves were rattling. 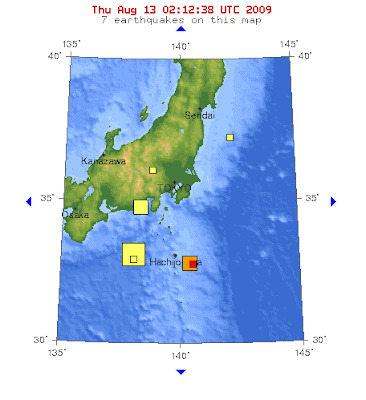 It was a 6.4 off the main island of Honshu, but was felt like a 3 or 4 here. I believe this is the 8th earthquake I've felt in the year I've lived in Japan. These 2 were by far the strongest and longest, although one last fall shook much more violently for just a few seconds, jolting me awake at 6 a.m. Apparently Tokyo is overdue for the Great Tokai earthquake. This earthquake has hit Tokyo an average of once every 111 years since the 1400s. The last time it hit here was in 1864. It's expected to be at least an 8.1 centered under a volcanic island called Izu Oshima in the Tokyo Bay. James and I are planning to ride our bikes around that little island next week. Kat is my buddy who will do what James won't do with me...namely anything involving crowds, tourists or tourist spots. James never would have done this with me...We headed to Odaiba (an island in Tokyo Bay constructed out of a landfill) to watch the hanabi from the shore. The monorail train goes alongside the famous Rainbow Bridge. It's so pretty at night, with Tokyo Tower and the bay all lit up. The fireworks were shot off 2 boats in the bay. with a few million other people. And this is only 1/3 of the beach that was covered like this--portable picnic tables, grills, and hundreds of cameras on tri-pods. The Domino's dude made a killing selling pizzas for $10. Before the fireworks started (precisely at the stroke of 7, mind you), we visited Gundam, this huge transformer-like megatron that has been erected on Odaiba for the summer. He stands 59 feet tall! This one is for Dirck and James...the 2 who really wanted to see Gundam. Apparently he emits laser light beams at night. There's also a strange replica of this on the island. Don't know why. Can you see how gray Tokyo is in all of these pictures? No one ever told me it would be so bleh here all the time. This video is kinda fun. We sat in front of some girls who yelled "kawaiiiiii" and "sugoiiiiii" everytime a firework went off. The crowd was totally into it...with collective "whooaaaaa's" throughout. I've seen a lot of fireworks in my day, and I thought Leiden, Holland would hold onto it's title of best New Years show, but the Japanese win the award. 12,000 fireworks were let off for exactly 90 minutes. Bursts of color that I would expect to be a grand finale by US standards was interspersed at least 6 times throughout the show. They threw up fireworks in the shape of planets, smiley faces, fish, umbrellas and even a Hello Kitty!